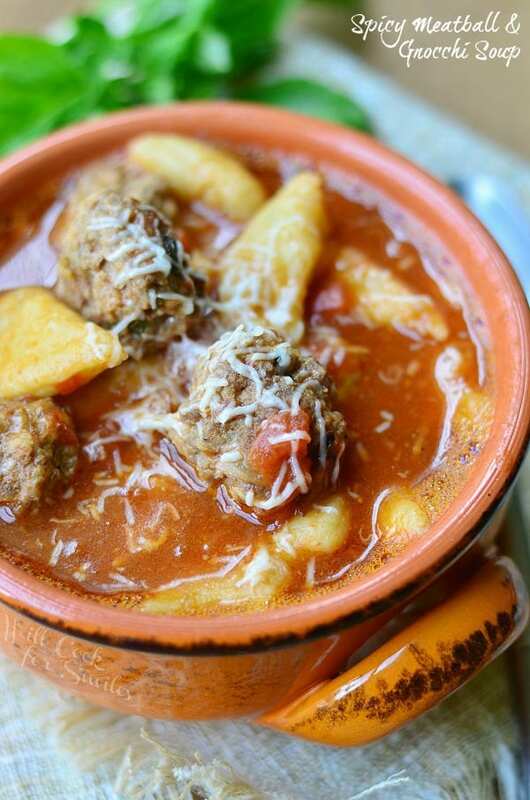 Unbelievably delicious and comforting Spicy Meatball & Gnocchi Soup. Tomato based soup made with homemade gnocchi, meatballs, and added heat from red pepper flakes and cayenne. I just realized that I had some delicious homemade gnocchi in the freezer that I kind of forgot about. I made another batch about two weeks ago, specifically because I was planning on making soups with it and I completely forgot. I saw it the other day, digging through my freezer, and immediately put gnocchi soup on the menu for this week! As much as I love my Homemade Gnocchi, I know that not everyone has the time to make them from scratch. So feel free to use store-bought gnocchi. If you have a favorite brand that you use, that stands out over the rest, please leave me a comment telling me what it is. I’d like to know which one is the best for the times when I don’t have any stashed in the freezer. This gnocchi soup turned out amazing! I’ve been a little obsessed with making soups with meatballs in them. (As you probably noticed.) 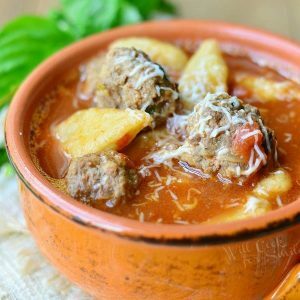 It always looks nice, I love the added flavors from cooking meatballs first and you get perfect, neat little portions of meat in every bowl. 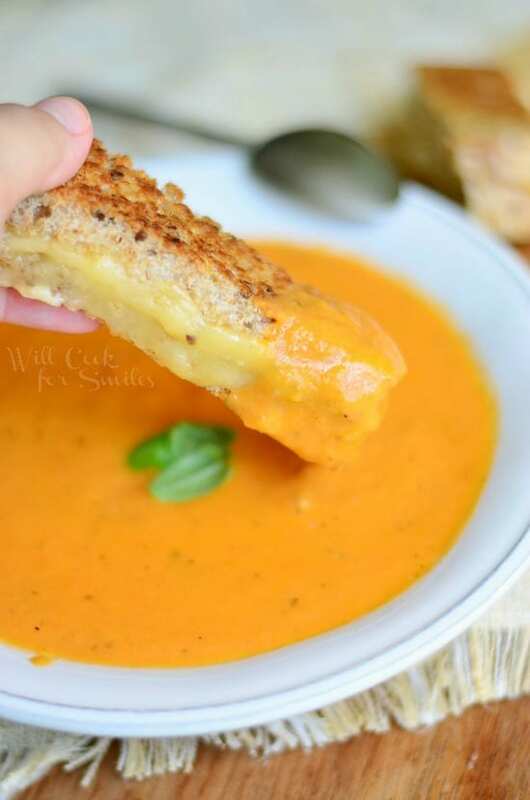 This soup is also tomato based, which is not something you’re probably used to seeing. But trust me…this is the bomb!! 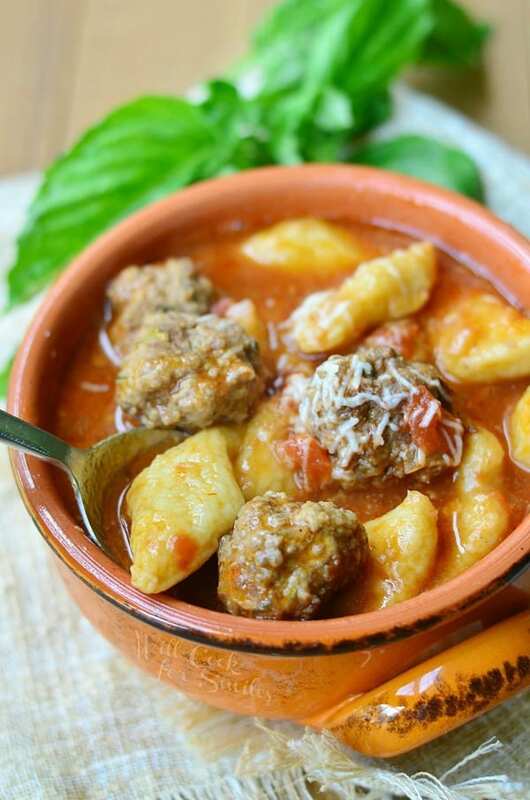 Spicy tomato broth is just perfect to tie meatballs and gnocchi together in the big bowl of “happy!” I could sip this broth with a straw all day long. 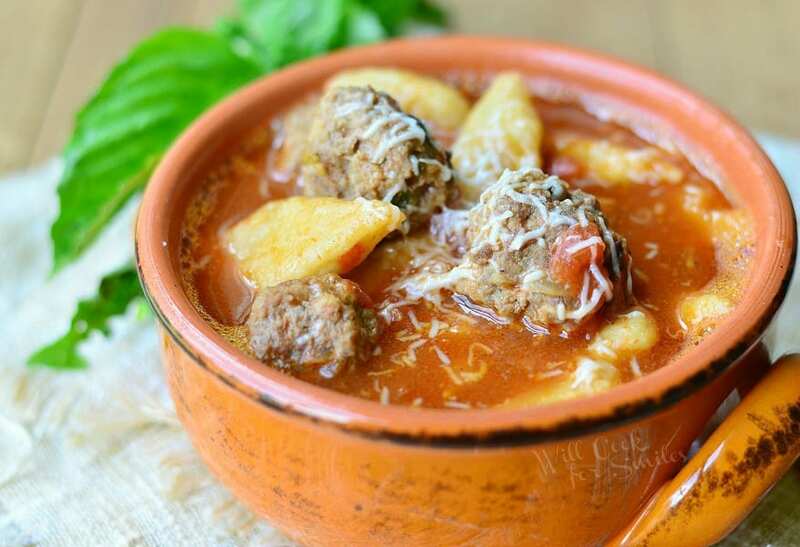 In a mixing bowl, combine all ingredients for meatballs and mix until all evenly incorporated. Preheat a large pot over medium heat and add some olive oil. Form small meatballs and add them to the pot. Cook meatballs over medium heat until about half way done. Add diced onion, diced tomatoes and grated garlic. Cook for a couple of minutes. Slowly add stock and raise heat to medium-high. Bring it to boil and lower the heat back to medium. Stir in tomato paste until all dissolved. Add salt, cayenne and red pepper flakes to taste. Cook for about 10 minutes. Add gnocchi and cook until gnocchi is done. 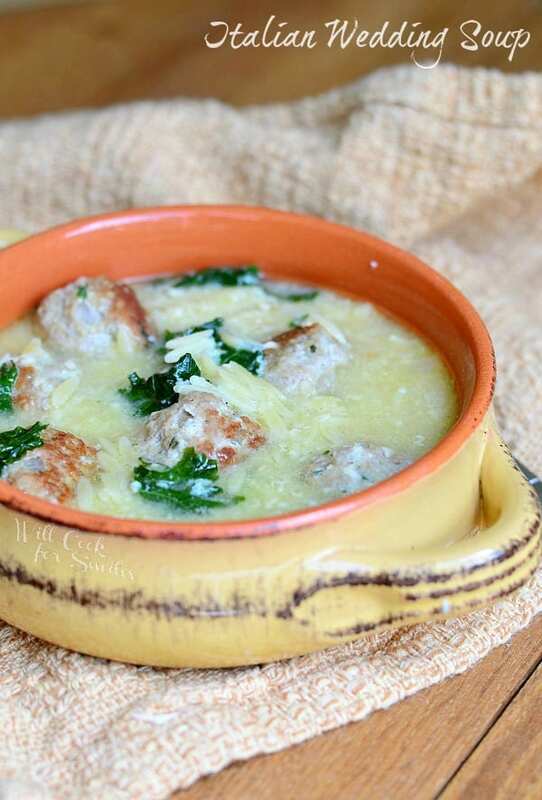 Recommended: Serve with some fresh grated Parmesan cheese on top. This looks amazing! 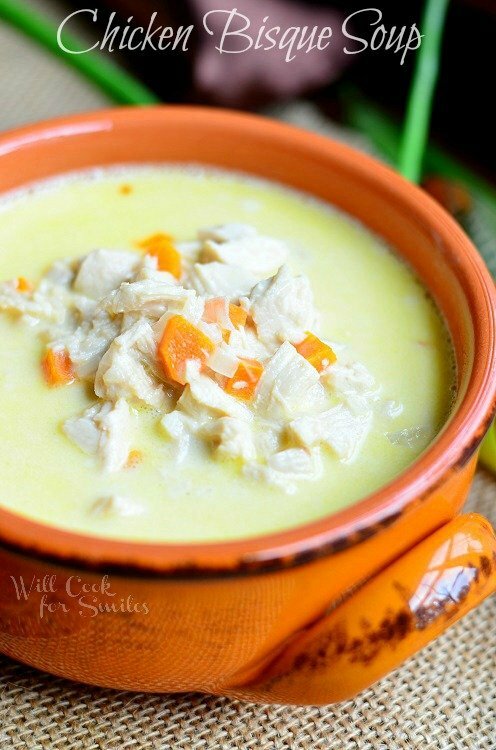 You are so sweet to list my tortellini soup Thank You! It looked really good, Kelly! Thank you!! 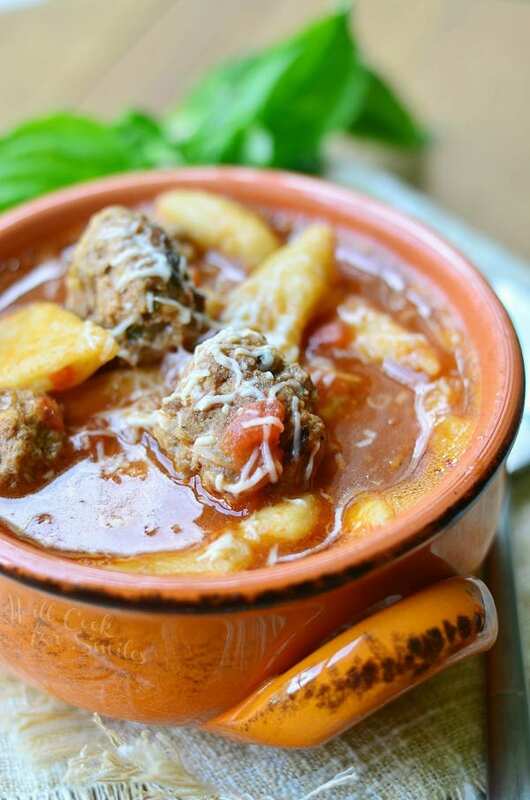 The Spicy Meatball & Gnocchi soup is now one of my family’s favorite soup recipes. Whenever I am in World Market and my daughters see me picking up a package of gnocchi, they know I will be making the soup. Thanks for sharing the recipe! Hi, when you list the onion in the base recipe I think there is a typo at the onion listing. 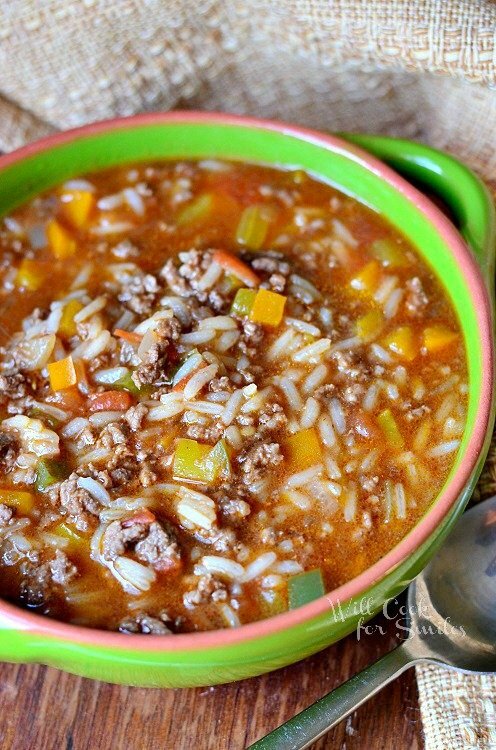 This recipe is next on my list! Thank you so much! I’ll go check it. What does 2 Tbs cup minced onion mean? Did yo mean 1 cup and one tablespoon? Oh wow, I’m not sure what happened there! I will fix that but it actually should be 1/2 cup minced yellow onion. Thank you so much for letting me know! Made this last night and it was a total win! Thanks! !